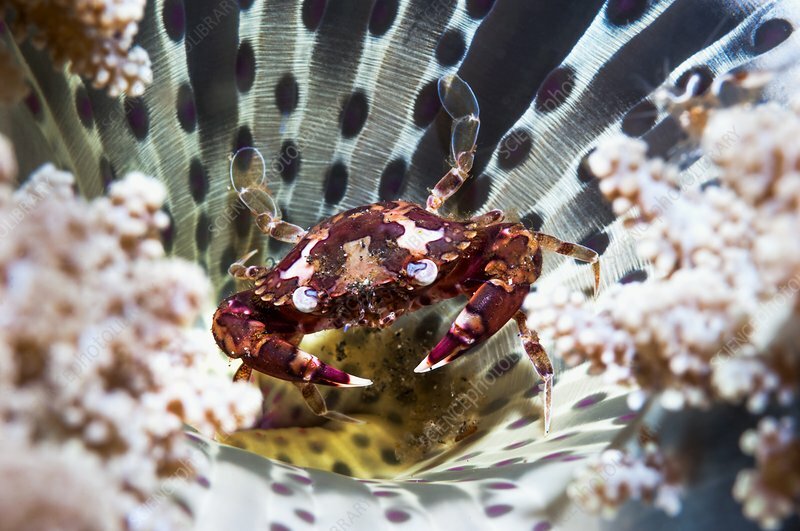 Harlequin swimmer crab (Lissocarcinus laevis, centre) crab on a reef. Swimmer crabs (family Portunidea) are characterised by the flattening of the fifth pair of legs into broad paddles, which are used for swimming. Photographed in the Lembeh Strait, North Sulawesi, Indonesia.